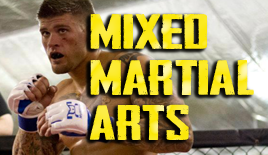 So we do get some common questions from people interested in Martial Arts Training here at Pennsylvania Combat Sports. We'll run down the list of some of the more regularly asked ones. Hope this helps you in the process! Q: I want to learn a martial art but I'm not sure which one I want to do? A: Heres what we do for anyone interested in training at Pennsylvania Combat Sports. We schedule you for a Free Training Consultation which helps us indentify your training goals and other possible variables. Then we take you on a tour of our top-notch facility and provide a Free Introductory Private Lesson, which covers the basics of several different martial arts we teach (Brazilian Jiu-Jitsu, MMA, Boxing and Kickboxing). From there you'll have a good idea about which martial arts style works best for you. Q: Im interested in trying 30 days free, how do I start? A: Thats great! First we need to schedule you for the Free Training Consultation. 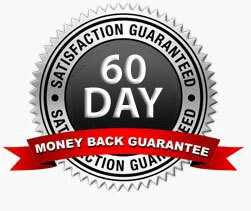 When you come in we can then get you registered for our exclusive 30 Day Free Training Offer. Keep in mind, you would need to purchase any necessary gear for classes though. Q: Its been (__) years since Ive done any physical activity, so do I need to get in shape before training here? 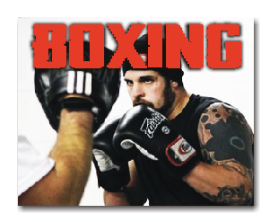 A: Pennsylvania Combat Sports offers a beginners 101 Program for every Martial Art that we teach. This is a comprehensive, curriculum based class that is meant to teach the fundamentals while getting you into shape at the same time. Its really for ALL Fitness Levels! Q: Do I have to spar or compete to train at your school? A: Nope, that is not a requirement at all. The fact is, only about 10% of our students take that next step and compete in tournaments and MMA events. Its strictly voluntary. The sparring sessions in our Advanced Combat program are always optional. You will of course learn more efficiently and effectively through sparring but we understand that some people may not be able to, or have the desire yet to spar or "roll" in our advanced classes. Q: How much does it cost to train here? A: At PACS we offer several different membership options which can make training more affordable. Adult memberships can be as low as $91 a month, and thats WITH your training uniform/gear included. The Initial Consultation helps us to determine what option may work best for you. The fact is, people get what they pay for... and at our school you will have the opportunity to learn from MMA Fighters, high level Jiu-Jitsu Champions, and receive experienced Tactical Instruction from those who've operated in numerous high threat areas overseas. All while utilizing our world-class training facility in Greensburg. Q: My training goals are to fight and compete, is that something I can do there? A: Absolutely. We started in 2001 as Combative Grappling Systems (TEAM CGS) and have had a part in building numerous star combat athletes over the past decade. Previous students have gone on to make big names for themselves in MMA and BJJ competition. Our current competition team members go through a grueling selection process just to ensure their dedication and desire to succeed in "combat". If you have the will to win, then we can get you ready. Q: Where at in Greensburg are you located? A: We're in the heart of Greensburg, just 2 blocks from the courthouse. Our address is 114 E. Otterman St. Greensburg, Pa. 15601, its right next to the Girl Scouts Building and across from St. Clair Park. The office entrance is at the back of the building. Feel free to use the on street parking or our parking lot in the rear. Q: My primary goal is to lose weight and get in shape, I figured martial arts would be a fun way to do that. A: You're right. We have many students who have lost significant weight (15 pounds or more) after attending our beginners 101 Program! It's like anything though, you have to want it to see those results. Q: I trained at a local "MMA" school once before and it was a bad experience, what makes your place any different? A: Well Im sorry to hear you had a bad experience in the past. The fact is, MMA and Martial Arts Training in general can be an extremely positive and life-changing thing for most people. We have been teaching since 2001 and have created a legacy of successful students in the process. Our facility is unlike anyplace else you'll find in the region...even schools in major metro area don't compare to what we offer. We have strict guidelines and policies on conduct and behavior so you definitely will not find a "Fight Club" mentality here. The professionalism and organization of our classes and staff is also a key ingredient to our success in creating a one of a kind training center. Q: I have a very busy schedule, but would still like to learn martial arts. Do you have a program that works for my situation? This is a common concern for many people we meet. We offer a wide variety of training options which include day and evening classes throughout the week. Depending on your training goals, we can usually create a class routine that works for anyone. Give us a call at (724) 420-5199 to set up a free training consultation.